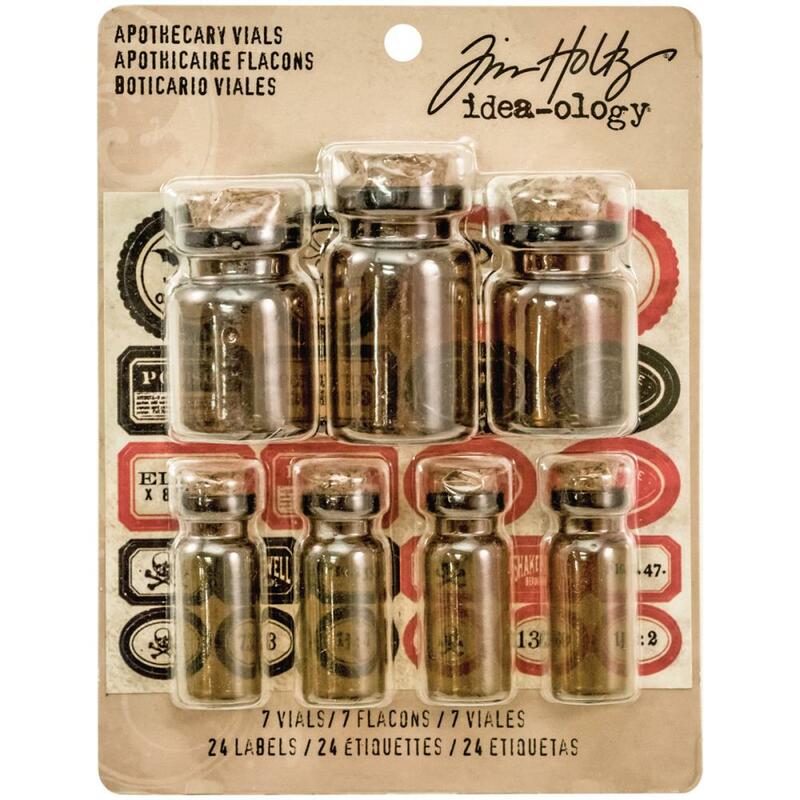 Advantus-Idea Ology Apothecary Vials: Amber With Oddities Label Stickers. Add a spooky look to all your crafting projects with these small, corked glass containers! 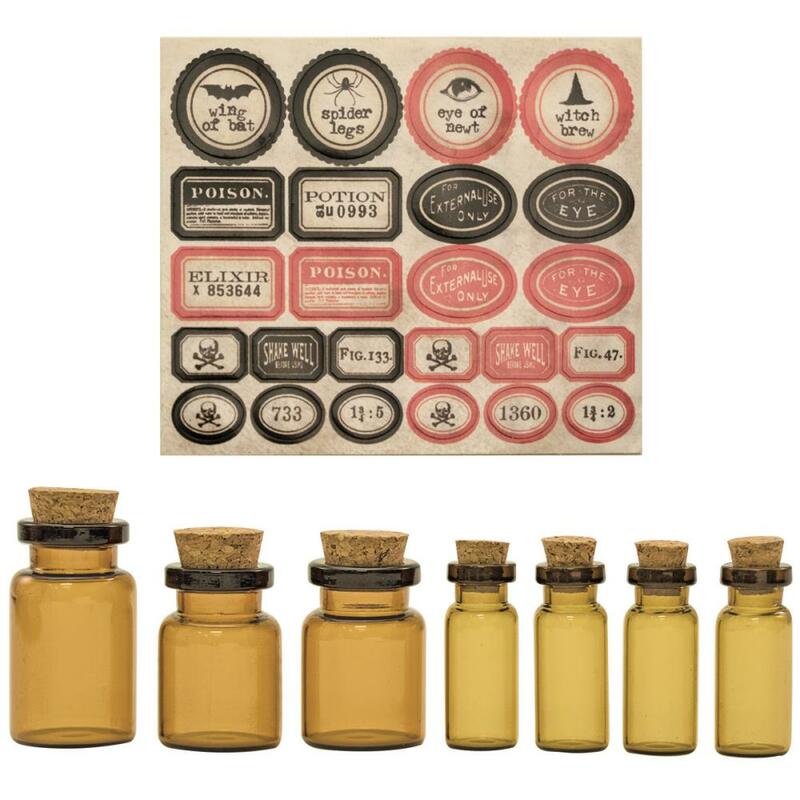 Mix and match vintage themed labels for all vials. This 4-3/4x3-3/4 inch package contains seven vials in four different sizes and one 3x3-1/2 inch label sticker sheet.